Ingredients: apples, sulfur dioxide and sulfur metabisulfite, unsweetened cocoa powder, sugar, vegetal fat, non-fat dried milk, natural vanilla flavor, chocolate. 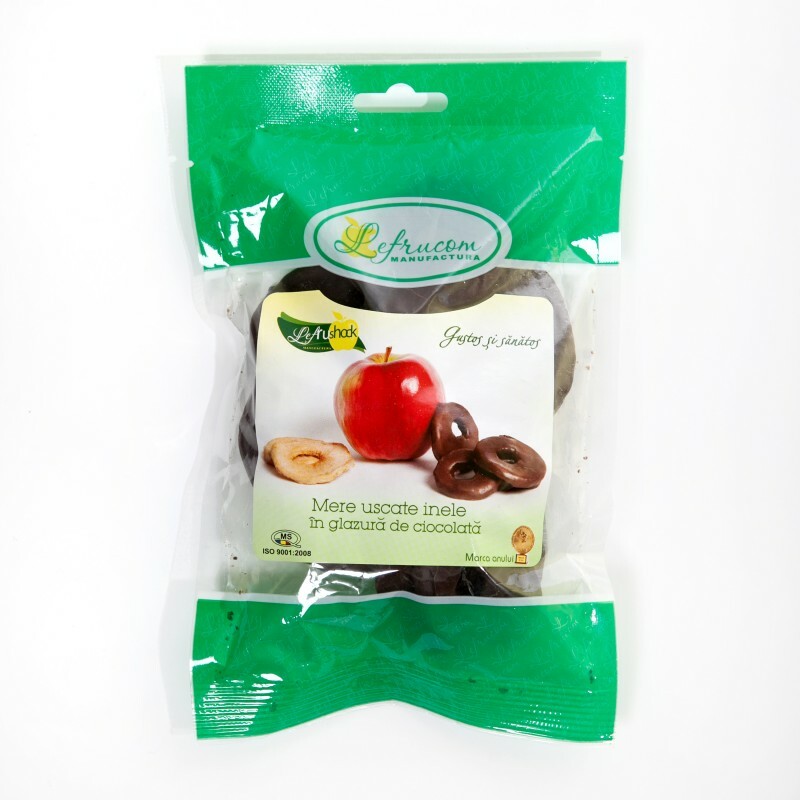 We took the highest quality apple rings in the market and hand-dipped them in the finest milk chocolate to create the ultimate chocolate dried fruit indulging experience! Those with timid taste buds beware. This amazing treat is not for you. 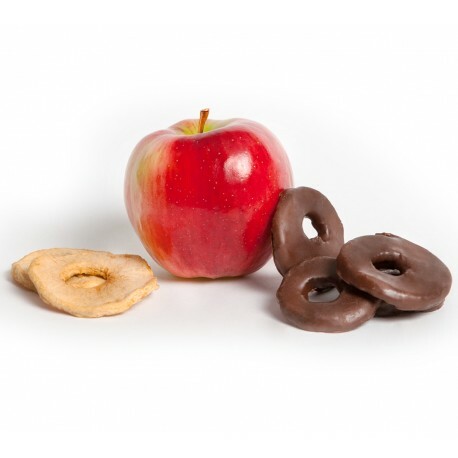 Jumbo apple rings hand dipped in luscious milk chocolate. We promise you will not be able to only eat one.